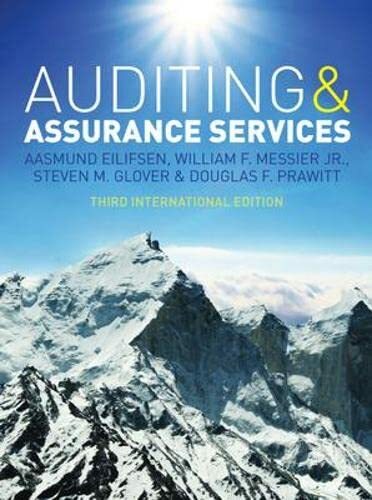 Auditing & Assurance Services, Third International Edition, takes a truly international approach to auditing and reflects the most current auditing approaches by the major international audit firms and the most recent International Financial Reporting Standards (IFRSs), International Standards on Auditing (ISAs), other IAASB standards and the IESBA Code of Ethics for Professional Accountants. Professor William F. Messier, Jr., is the Deloitte & Touche Professor at the School of Accountancy, Georgia State University. He holds a Professor II position at the Institute for Accounting and Auditing, Norwegian School of Economics and Business Administration, and he is a visiting professor at SDA Bocconi in Milan, Italy. Professor Messier has a BBA from Siena College, an MS from Clarkson University, and an MBA and DBA from Indiana University. He is a CPA in Florida and has taught at the Universities of Florida and Michigan.Professor Messier has served as the Chairperson of the Auditing Section of the American Accounting Association and as co-editor of the Journal of Accounting Literature. 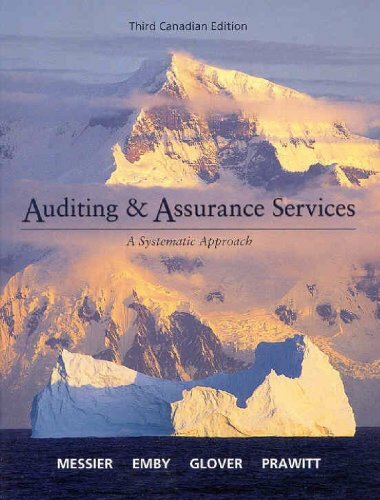 He currently serves on the AICPAs International Auditing Standards Subcommittee. Professor Messier has authored or co-authored over 45 articles in accounting, decision science, and computer science journals.